This is 109 Children’s hats that we are donating to the pediatric oncology unity at Loma Linda University Children’s Hospital (LLUCH) . This is our first delivery to LLUCH, and we are so excited to add another hospital to our donation group. We are overjoyed about the amount of hats that we have been able to accumulate (our largest donation thus far) to donate to LLUCH. This is a giant hospital that helps so many children suffering from cancer, and we wanted to make sure that we would have enough hats for everyone. Thank you again to all of our contributors and team members who made this huge donation possible. We want to say a very special thank you to Antoinette who mailed this donation for us and always mails one shipment a month out for us. Thank you Antoinette, we are so grateful to have you on our team. We just love to see our donation counter moving on up. We could not have dreamed when we first started Knitting Rays of Hope, that we would be able to spread hope to over 1400 patients! 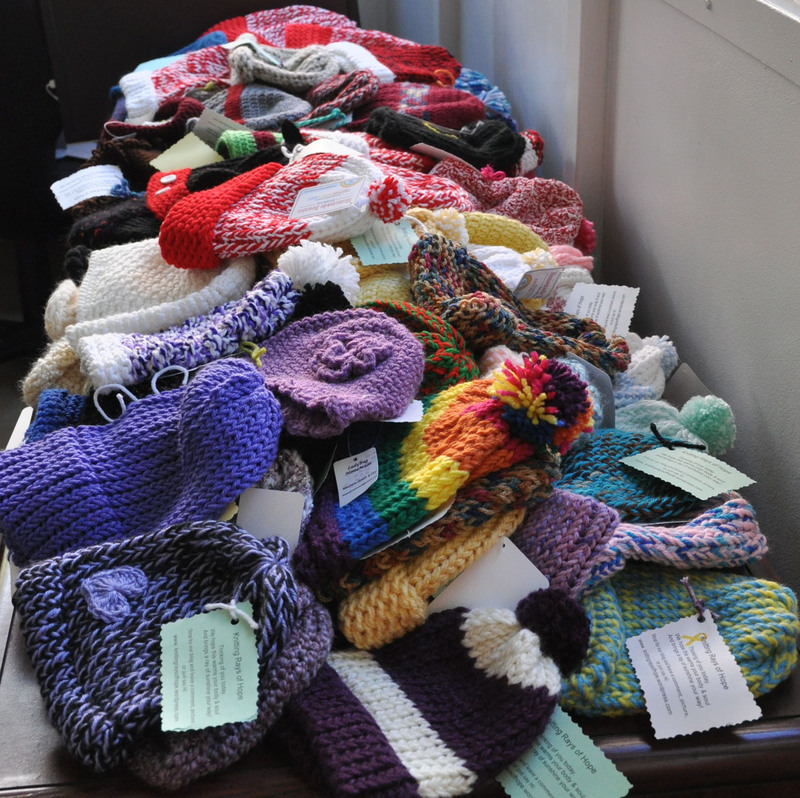 We hope that these hats bring these brave kids a bit of joy for the holidays.